Now, with the reappearance of the dog, the case is brought back to light, and the search for the child renewed. Goaded by his wife’s desire to help a friend and fellow mother and Andy’s desire to make sure the real kidnapper is in jail, Andy and his team enter the case. But what they start to uncover is far more complicated and dangerous than they ever expected, in David Rosenfelt's Collared. 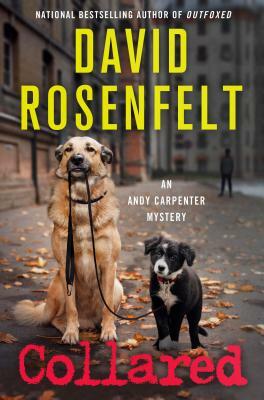 DAVID ROSENFELT is the Edgar-nominated and Shamus Award-winning author of several stand-alone thrillers and more than a dozen Andy Carpenter novels, including Outfoxed. He and his wife live in Maine with their ever-changing pack of rescue dogs. "This installment is crafted with an intriguing premise, witty recurrent characters and a well-conceived mystery that unravels with surprising twists."